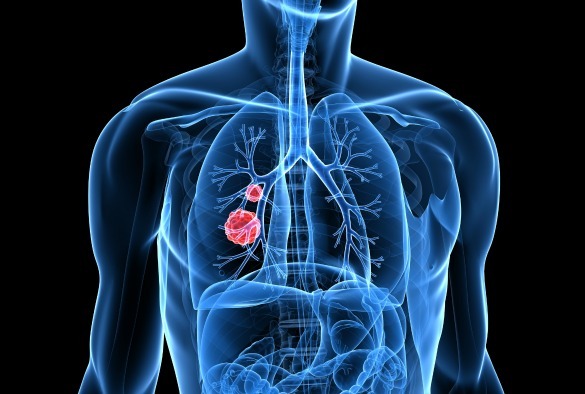 The Liverpool Lung Project (LLP), a long-term research project run by the University with support from Roy Castle Lung Cancer Foundation, provided key data to drive forward the lung health check schemes announced by NHS England today (Friday, 8 February 2019). NHS England is investing around £70 million to fund 10 projects that check those most at risk, inviting them for an MOT for their lungs and an on the spot chest scan that include mobile clinics, as well as at certain hospital sites. NHS England The targeted screening will help improve survival rates by going first to the some of the areas with the highest death rates from lung cancer. Liverpool has one of the highest mortality rates for lung cancer in England, and it’s also estimated that there’s around 6,000 people living with undiagnosed COPD across the city. In 1993, the Roy Castle Lung Cancer Foundation awarded a grant to Clinical Professor of Molecular Oncology John Field, from the University’s Institute of Translational Medicine, to study genetic changes in lung cancer and thus laying the groundwork for screening of high-risk individuals. This work also formed the basis for the LLP , a project that ran from 1996 which used epidemiological techniques to develop a risk model which could help identify individuals at high risk of developing lung cancer. The result of this work was used by Professor Field as he led the pilot UK Lung Cancer Screening Trial (UKLS). Following the publication of the UKLS trial data, the Liverpool Clinical Commissioning Group (CCG) made a major investment into the Liverpool Healthy Lung Programme and successfully identified individuals from the hard to reach communities and offered them Lung CT scans, identifying early stage disease with a very high proportion suitable for surgical intervention. The successful results of this programme positively impacted the rollout of this initiative which has the potential to reach around 600,000 people over four years, detecting approximately 3,400 cancers and saving hundreds of lives across the country. The projects will not just identify more cancers quickly but pick up a range of other health conditions including chronic obstructive pulmonary disease (COPD). The new projects will last initially for four years and NHS England will then evaluate the results to use as a basis for further roll out. One of the ten areas will be the Cheshire and Merseyside Cancer Alliance which is comprised of Knowsley CCG and Halton CCG.